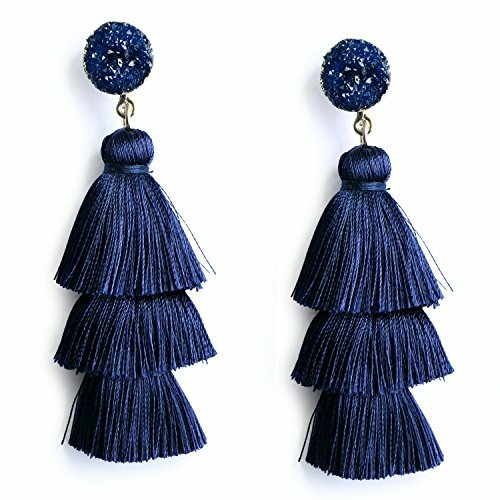 Chic Tassel Earrings for beautiful ladies. 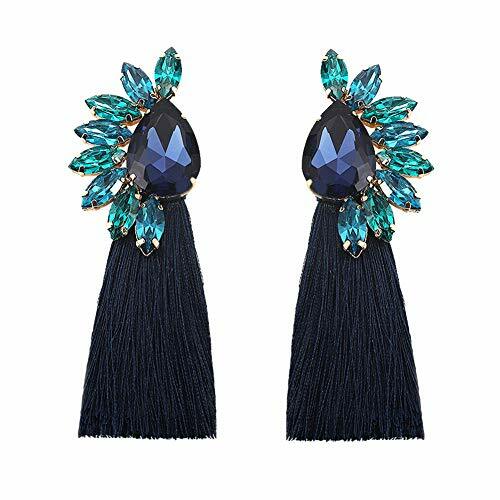 These earrings are made of grand Polyester, Crystal and Alloy. 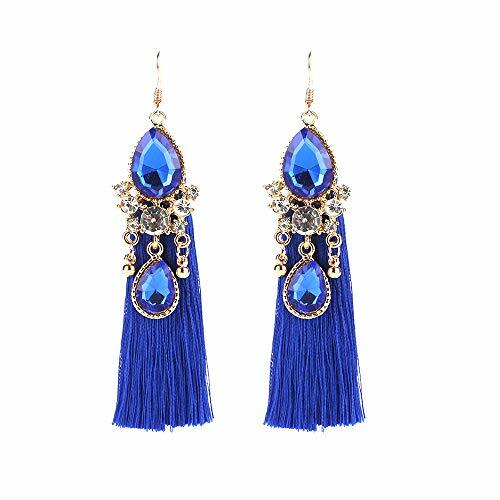 It is suitable for daily life, party, evening and some special occasions. The chic design will decorate you elegant and beautiful. You will attract everyone's eyes and become a shining star. Notice: There is minor difference between pictures and products because of the photograph. Brand New. If you want to refund, Please keep my products new and not damaged. Two conditions below will not be refund any more: 1;Product is used or damaged. 2 Package or label of my product is damaged. Hi friends, Welcome to our store! We have charming and elegant design accessoies, perfect for you in daily life.Accessorie care:--Avoiding your accessories being impacted form the chemicals--Put down your accessories while you take a shower--Wipe the accessories with soft cloth--Store it in a cloth bag to avoid oxidation when you don't wear it. THE PERFECT CHOICE The size of the quick adjustment to perfect and comfortable. 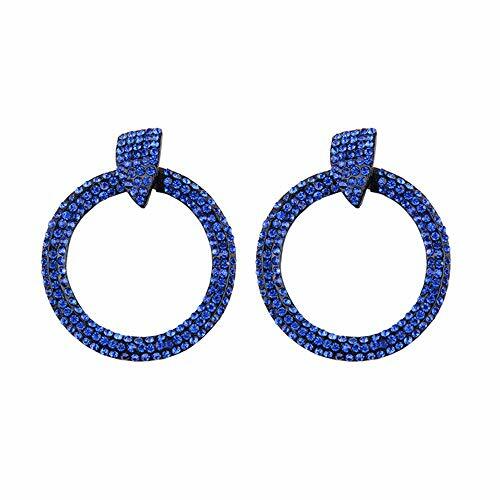 It Makes Your Look Elegant And Charming In Any Occasions. A romantic gift for your wife, girlfriend,Christmas, birthday, Valentines or just because. 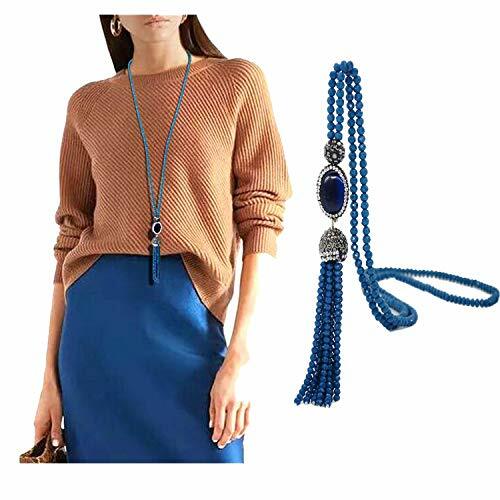 MATCH TO MOST OCCASIONS The Charm Pendant Necklace set is suitable for you to attend special occasions such as, wedding, birthday party, prom or pageant. 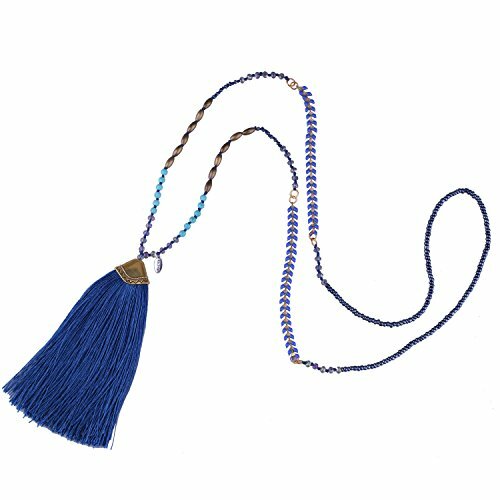 This Statement Pendant Necklace will enhance your look besides decorate your beautiful mood and attract great attentions. 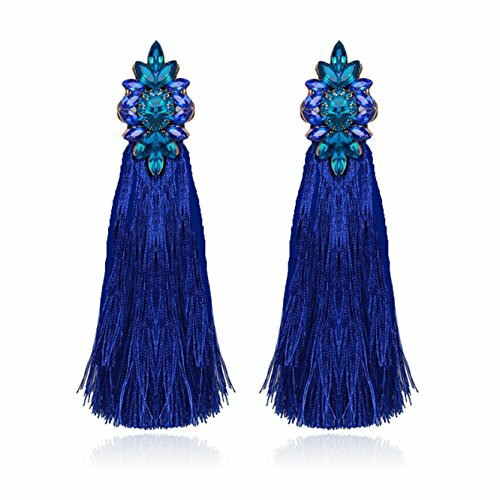 This tassel drop dangle earring make with high quality alloy These fashionearring belongs to Bohemian style, suitable for daily wearing, wedding, date,prom or any occasions you want to be more charming and get more compliments Best gifts forBirthdays, Anniversaries, Valentine's Day, Mother's Day or any other festivals,very popular with women and girls Jewelry Maintenance: 1.Do not contact liquid like water, sweat and cosmetics 2.Do not wearing at showering, washing, swimming, sleeping, sporting; 3.Do not expose in air for long time, when not wear please put into sealed bagor box 4.Please wear carefully, do not scrub it or make it fall to the ground. About customer service : We always keep good contact with our customers in order to make good customerservice after we received the orders, and will produce some new product. If anyquestion, don't hesitate to contact us, we will reply you within 24 hours inour working time. 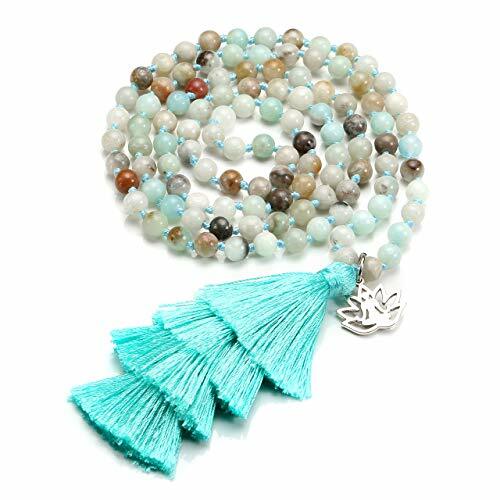 Natural Gemstone Buddhist Prayer Mala Beads 108 Bracelet/Necklace With 4 Layer TasselDescription:--108 beads - A symbol of the removal of 108 kinds of trouble.A variation of the standard 108-bead mala is the wrist mala of 27 beads - four circuits total 108 mantra repetitions.Mantras can be recited for four different purposes: to appease, to increase, to overcome, or to tame by forceful means.Specification:This bracelet is consists of-108 pcs Rhodochrosite/Lava Stone/White Turquoise -4 Layer Tassel- 1 Yoga Cahrm Size:Crystal Bead Dial: 6mmYoga Charm: 16*18mmTassel Length: 3.35''(85mm)Total Length: 36''(about 11 inches Length in 3 Loops, 8 inches Length in 4 Loops) Package List- 1 Bracelet/Necklace- 1 Velvet Bag - 1 Gift BoxWarranty item:90-Day money back guaranteed. If you are not completely satisfied with the product, please contact us through buyer seller message. We promise we will try our best to make you happy. Buy absolutely no risk. Jewels galaxy welcomes you to the world of fascinating crystals designer Jewelry made with original crystal elements , it was modest beginning a decade ago, in an endeavour to delightfully surprise its customers, travels around the country to procure exquisite and rare pieces of ornamentation, world-class craftsmanship, jewels galaxy luxuries limited edition makes people remember not only the Jewelry itself, but also the woman who wears that Jewelry, jewels galaxy will never fail to meet your expectations, at jewels galaxy, it is not about ornaments, but a treasure that will be cherished forever, come, be a part of the jewels galaxy family and experience a relation of trust, a promise of quality and a tradition of happiness. 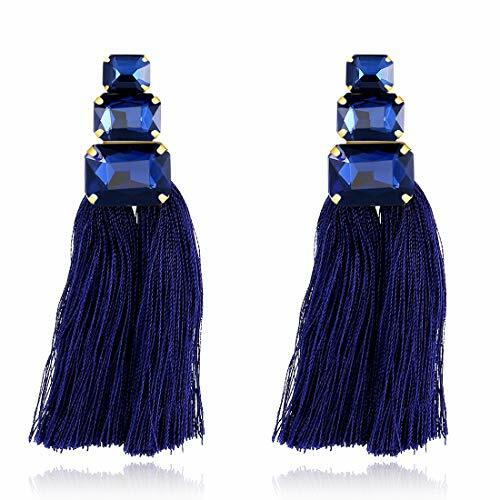 Shopping Results for "Blue Crystal Tassel"